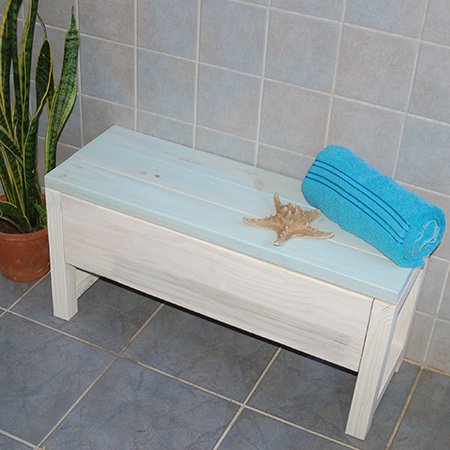 Add extra storage to a bathroom with this Bathroom Storage Bench. Various sizes available. 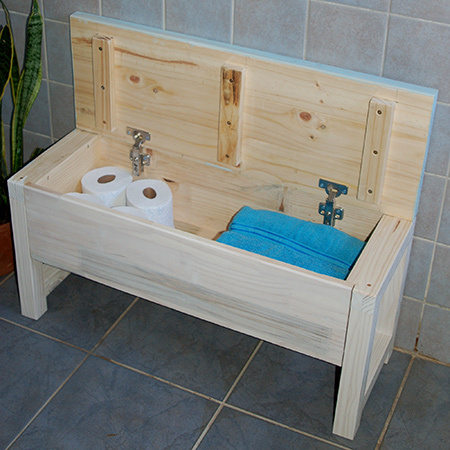 The bathroom storage bench can be finished in a variety of options. Choose from Rust-Oleum Chalked [linen white - country grey - aged grey - charcoal - serenity blue - coastal blue - blush pink] and Rust-Oleum Ultimate Wood Stain [antique white - beached blue - worn navy]. Select your choice when ordering.